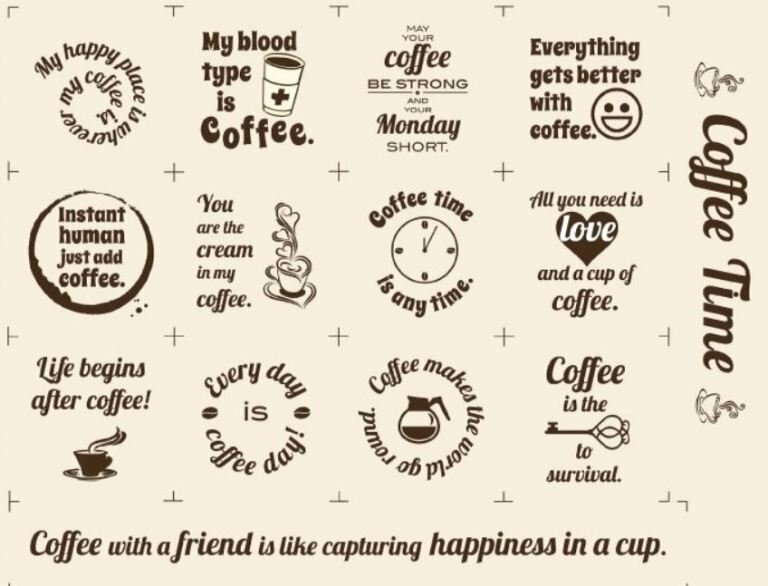 This Coffee Time Panel is perfect for coffee lovers. Each panel has 12 - 4.5" squares and one 2.5" x 18.5" rectangle. Printed in brown ink on natural 100% Kona Cotton fabric.